Muktsar is a city and a municipal council in Muktsar district in the Indian state of Punjab. Muktsar's old name was Khidrane dee dhab ( ਖਿਦਰਾਣੇ ਦੀ ਢਾਬ ). 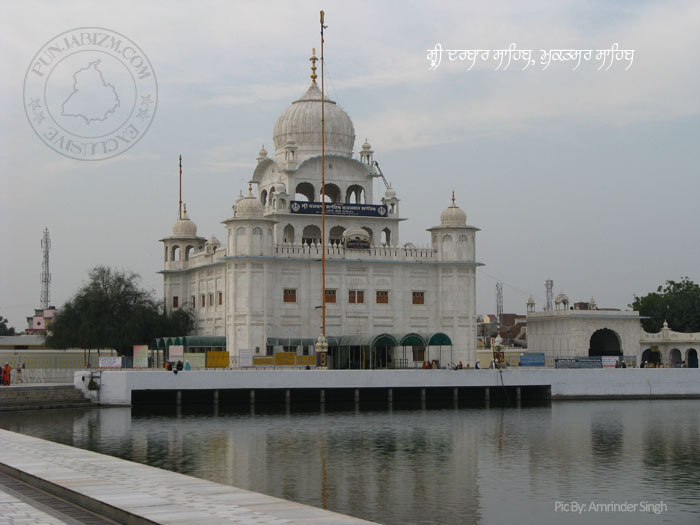 Situated at a distance of 45 Kms from faridkot and 50 Kms from Ferozepur, Muktsar is famous for its Sikh shrines. Muktsar also has a number of Gurudwaras such Tuttu Gandi Sahib, Tibbi Sahib, Tambu Sahib etc. which commemorate incidents from the life of Guru Gobind Singh ji. 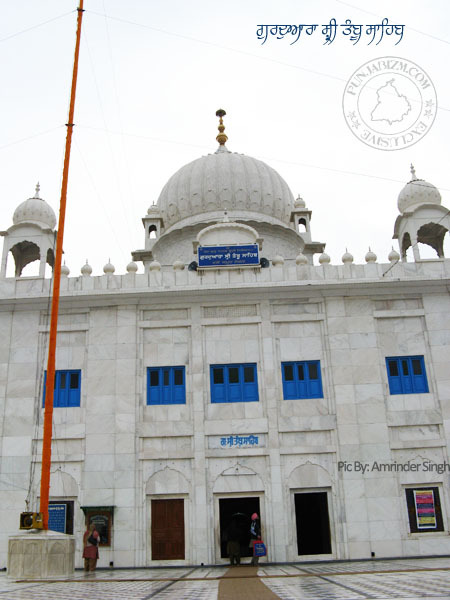 Gurudwara janamsthan Guru Angad Dev Ji and Gurudwara Chhateana Sahib are also situated in Muktsar District. According to census of 2001, Muktsar has total population of 7,77,493. The percentage of rural population to the total population is 74.46% . Muktsar has population density of 297 persons per sq. Km compared to 484 persons per sq km of the Punjab, which is the lowest in Punjab. There are 891 women for every 1000 men in the district. The Scheduled Castes form 37.75% of the total population in this district. The population of Muktsar District has increased at the rate of 18.80% from 1991 to 2001 against 20.10% for the whole state. The Maghi Mela ( ਮੇਲਾ ਮਾਘੀ ) held in the town of Muktsar, a day after Lohri (13 January) is very famous. Held every January it is to commemorate the valour of 40 Muktas, (or the liberated ones), who laid down their lives following Sri Guru Gobind Singh into the battle-field of Khidrana ( ਖਿਦਰਾਨੇ ਦੀ ਢਾਬ ). The huge Mela is held at an open space mainly on the Bathinda & Malout roads. People from all over the world, come to Muktsar on this day to take a dip in the holy sarovar. Traditionally a horse fair was also held on this occasion but it is not held anymore. Muktsar has a proud heritage. It is known as the last battlefield of Guru Gobind Singh, which proved to be a most decisive conflict in the military history of the Sikhs. Literally the name of this city means "the pool of liberation". The forty Sikh warriors who fought to death here against the Mughal Empire more than three centuries ago are remembered by a grand festival held here every January, which attracts devotees from all over the world. Guru Gobind Singh Ji, fought his last battle against Mughals in 1705 A.D. at Muktsar. 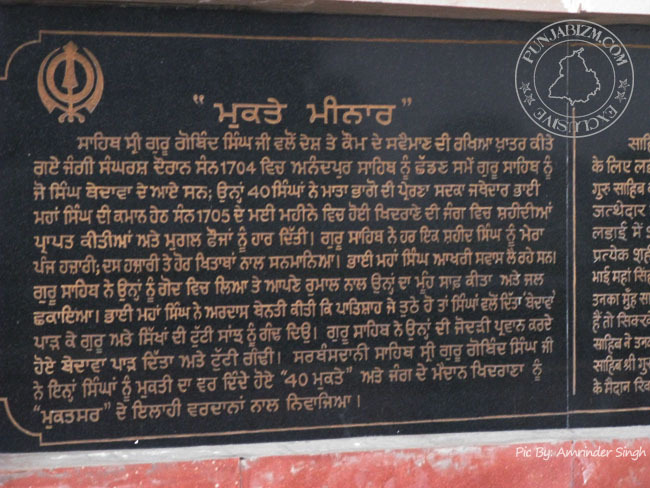 During fighting, 40 disciples of Guru Ji know as ‘40 Muktas’ ( 40 liberated ones ) sacrificed their lives. These 40 Sikhs were those who insisted that Guru Ji should leave the Anandpur Sahib fort, when it was besieged by Mughal army. Guru Ji had than asked these followers to leave him if they so desired but they should give him in written that he is not their guru and they are not his Sikh i.e. followers. When these Sikhs returned to their homes in Majha territory of Punjab, they were not welcomed by family members as they had left the Guru at time of trouble. They were overcome by shame and not in a position to face Guru Gobind Singh Ji again. On learning that Guru Ji was in region of present Muktsar the 40 Sikhs lead by Bhai Mahan Singh and accompanied by Mai Bhago, an illustrious lady in Sikh history, left their homes to help him. At that time Mughal army was searching for Guru ji. A pitched battle was fought near a pond called Khidrane di Dhab. The 40 sikhs fought valiantly for guru ji and achieved martyrdom. The outcome was in favour of Sikhs. Mughal forces failed in capturing or harming Guru Sahib and fled from battle field. After the battle was over, Guru Ji visited the battle field. One of the 40 Sikhs, Sardar Mahan Singh was about to die, Guru Ji took his head in his arms and asked what did he want? Sardar Mahan Singh requested Guru Ji to tear the paper (Bedawa), they had given to him at Anandpur Sahib ‘you are not our guru and we are not your followers’. On this Guru Ji tore the bedawa . These 40 Sikhs were henceforth called 40 Muktas. The city that grew at the site of the battle was called Muktsar after them. Mela Maghi, a famous fair of Punjab, is celebrated at Muktsar on next day after Lohri every year as a tribute to those 40 Muktsar. 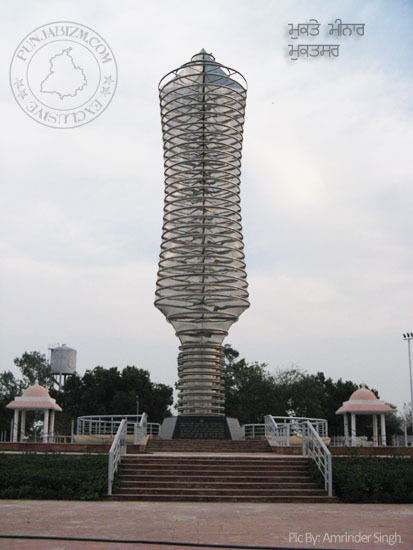 Muktsar and surrounding areas of Muktsar city is intimately connected with Sikh history. Tutti Gandi Gurudwara Sahib, Tibbi Sahib, Gurudawra Rakab sar, Gurudwara Taran Taran Sahib are worth a visit to get a peep into the glorious era of Sikh tradition. The birth place of Second Guru, Guru Angad Dev ji is at Sarai Naga 15kms from Muktsar on Muktsar- Kotkapura highway. There is a beautiful old mosque called Angooran Wali maseet situated near Railway Station at Muktsar. One historical Gurdwara Guptsar Sahib is situated at village Chhatteana in Gidderbaha tehsil about 24 Kms from Muktsar. Some historical Gurdwara at Rupana, Gurusar, Faqarsar & Bhundar are situated in Muktsar district.